Weddings, festivals and celebrations are just around the corner. There is a lot of preparation to be done, plenty of people to meet and lot’s of festivities to enjoy. To make sure that you have the perfect look for every occasion, it’s best that you plan out everything to the last detail. This also includes the kind of mehndi you want to apply. 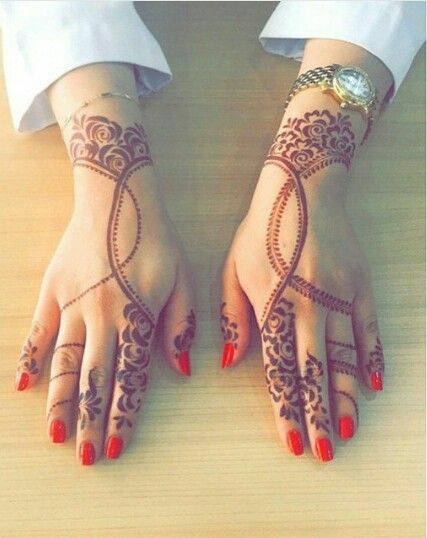 Arabic mehndi is a great style for a versatile look. 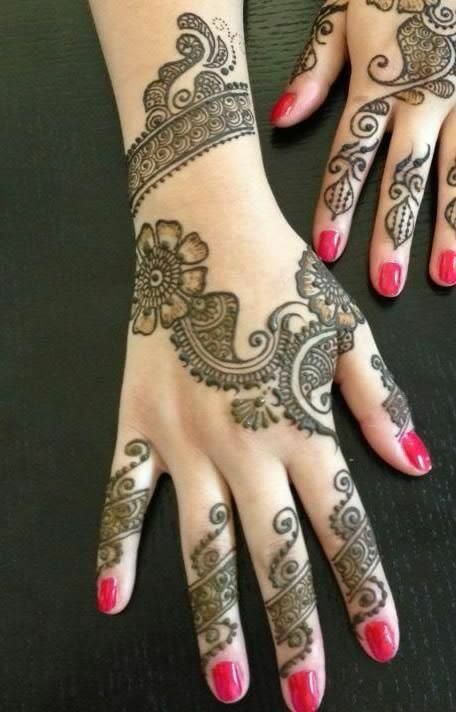 So if you have back to back functions to attend the same mehndi design will look great no matter what you wear. 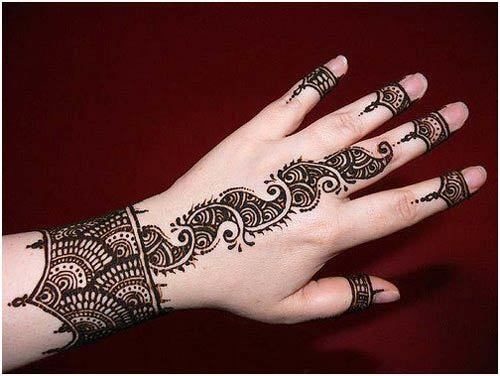 Arabic mehndi can be drawn in a variety of styles. Let’s take a look at some of the most popular ones. Typical flower patterns use elements from nature that extend across the palm to create detailed designs. You can try large flowers or small intricate ones to adorn your hands. One way to embellish these further is my adding sparkles or sequins to add a glittery element. 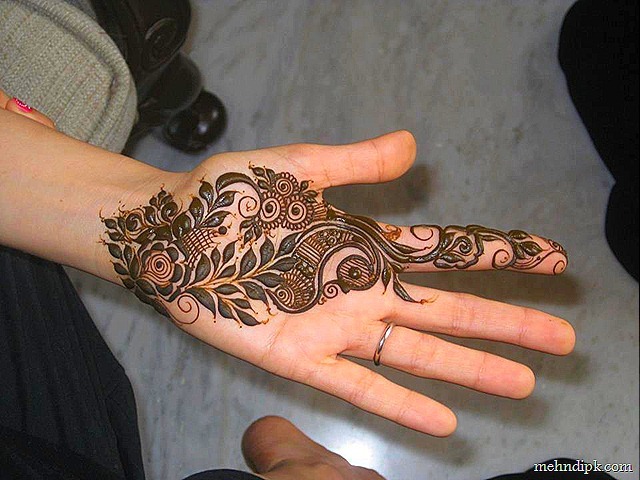 Flower pattern mehndi designs look great when worn with short kurtas and Patiala pants. Try to find an outfit with similar designs and patterns so you can show off a seamless style. Geometric patterns are more structured and defined. It usually uses a repetitive pattern that creates one whole design by merging together different forms and shapes. It can have checkered patterns, circles or different triangles coming together to create interesting shapes. Since, this pattern is more contemporary try wearing it with a fusion outfit. You can team up a long ethnic print skirt with a sequined spaghetti top to create a fun and new-age yet traditional style. Abstract patterns can vary from designer to designer. They can be a combination of the flower and geometric patterns, free hand strokes or even unstructured forms that create an eye-catching visual effect. Abstract mehndi patterns work wonderfully with designer sarees and lehengas. You can opt for a saree-gown with embellishments or a long, flowy lehenga with a strapless blouse for a high fashion look to go with your stunning mehndi. There are plenty of style options you can try out when the events start rolling in. Mix and match patterns to create your own unique style and show off an impeccable fashion sense with stunning outfits to match. 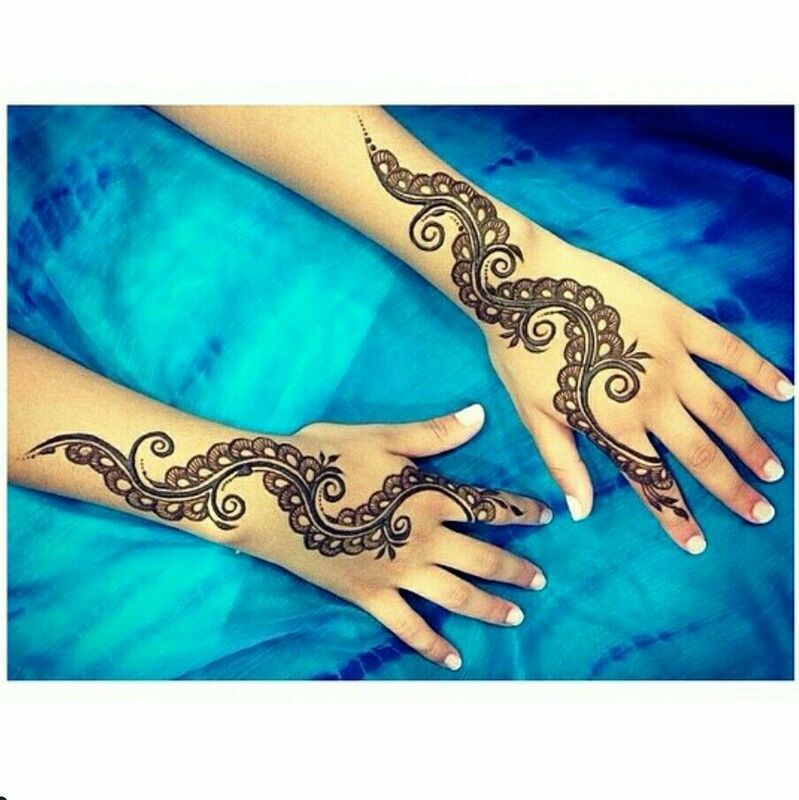 Check out our bank of Arabic mehndi designs to get some inspiration on what you would like to try. Get ready to rock any event and be the centre of attention when you walk in looking your very best.